Designed with a flexible connector to fit through most iphone cases. The sandisk ixpand flash drive is an amazing storage device for those with an iphone or ipad that need some extra storage, or even just a way to backup photos and videos of loved ones (without using the cloud).Designed to be the perfect companion for your iphone, the ixpand flash drive offers an easy way to free up space on your iphone, automatically backs up your camera roll, and even lets you watch popular-format videos straight from the drive4. The drive has both a flexible lightning connector that works with most cases and a usb 3.0 Connector to plug into your mac computer or pc so you can easily move your stuff where you want it. The ixpand flash drive also includes encryption software that lets you password-protect files, so you can share your content while keeping sensitive files secure across your devices5. Take all the photos and videos you want the ixpand flash drive delivers a fast and simple way to free up space on your iphone so that you re always ready to capture more memories. 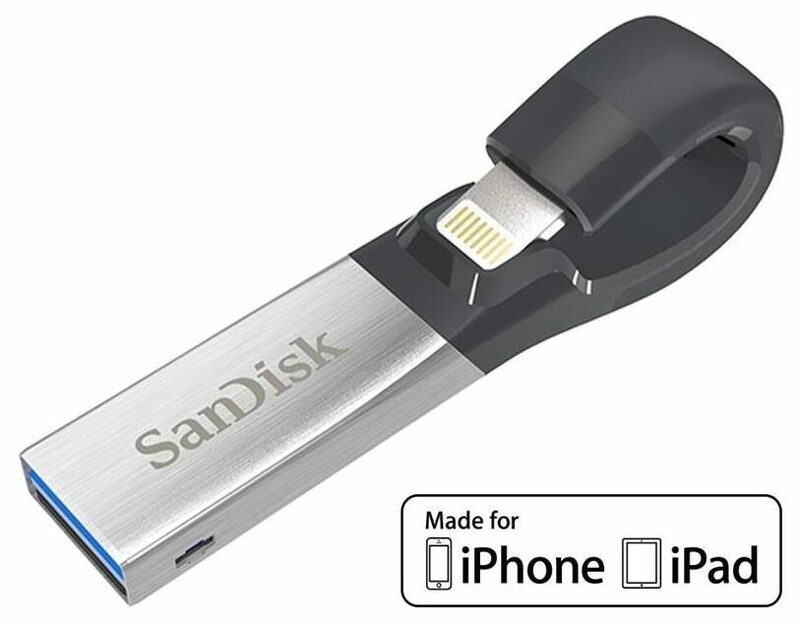 - The perfect companion for your iPhone, the iXpand Flash Drive lets you free up space on your iPhone, back up your camera roll, and even watch videos straight from the drive4.